Here’s a really great soup to treat the colds and flues that seem to be so prevalent this year. Boil 10g yellow soybeans in water for 15 minutes; add 30g parsley and boil again for 15 minutes. Drink the soup and stay in bed to perspire. This entry was posted in Nutrition on by smiling. Traditional Chinese Medicine, dates back over 5000 years. Today, it is just as valid and useful in helping us achieve our health goals, and can help your journey towards a healthy weight. There are many medical research studies into the efficacy of Traditional Chinese Medicine for a healthy weight, and especially in weight loss suggests that its approach can inhibit the production of body fat, improve intestinal peristalsis to increase bowel movement, boost blood circulation, and speed up the metabolism. 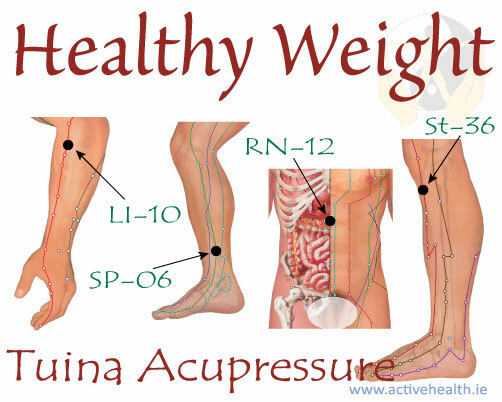 Herbal medicine, Acupuncture and Tuina Acupressure each play a key role in this endeavour, but here are five things you can do on your own to support your weight loss efforts. I recommend replacing sweet and starch foods with eating bitter foods. Bitter is one of the five flavours in Traditional Chinese Medicine. The Five are bitter, spicy/pungent, sweet, salty, and sour/astringent. It is one of the main flavours that help with weight loss because bitter tastes are difficult to overeat and help to purge the bowels, including flushing toxins from the body. Bitter flavours also increase digestive enzyme secretion, which improves our sense of satiety or feelings that we are full. Examples of bitter foods include cucumber, bitter melon, asparagus, and some lettuces. Qi is the life-force or energy that nourishes all life in Chinese theory. Our Qi can become stagnant or blocked in the body leading to ‘dampness’ or build ups or mucus or water retention. It is important to move Qi to clear stagnation and improve normal metabolic processes. Qi can be encouraged to flow freely with exercise. It’s not really important which exercise you do, as a 30-minute brisk walk moving the hands as well as the feet, will achieve the smooth flow of Qi in the body. Taichi, TaiQi, Qi Gong, Yoga and certain breath work can also help. Herbs can greatly improve the flow of Qi, as well as nourish certain body functions of metabolising food. 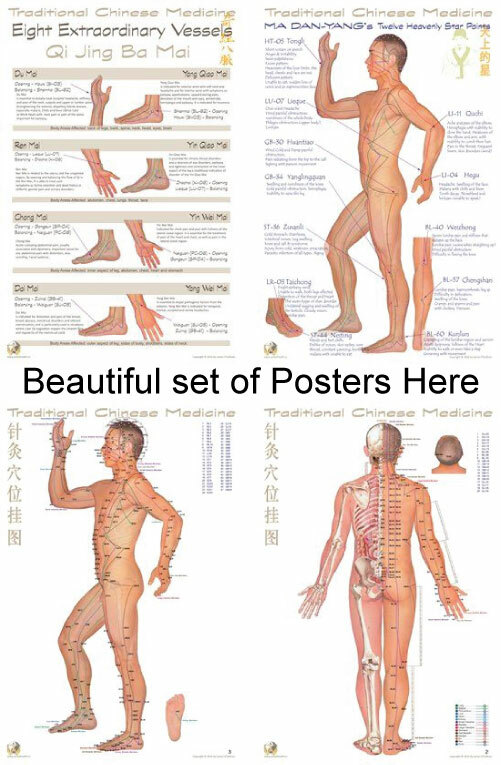 Acupuncture can help also. Drinking the wrong liquid calories, whether from juice, sugary and soft drinks should not be part of a healthy diet, not to mind a weight loss plan. Traditional Chinese Medicine advises a different positive habit, suggesting you replace those drinks with herbal drinks. Tea has been used for millennia in China to support fat metabolism and prevent stagnation of bowels, toxins, fat, and Qi. The various types of tea, (Green, White, Black, Red and Herbals) is the go-to drink in China after consuming a high-fat meal. We advise the most powerful herbal formula to make a simple to use herbal drink in teabag form, called Teatox. 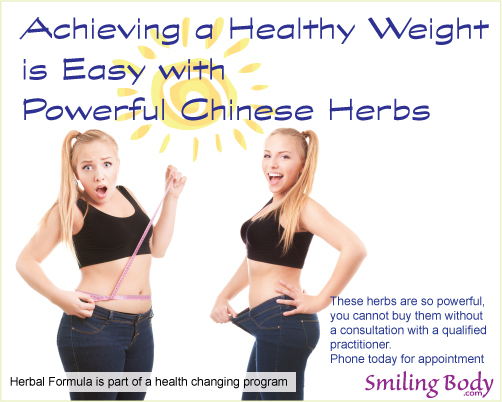 Chinese herbs such as lotus leaf, cassia seeds, Chinese hawthorn, and Solomon’s-seal (Polygonatum odoratum) are traditionally used for weight loss. Smiling Body Teatox is a herbal formula in a simple teabag form, made up of these powerful herbs that can be taken daily to help reduce weight. 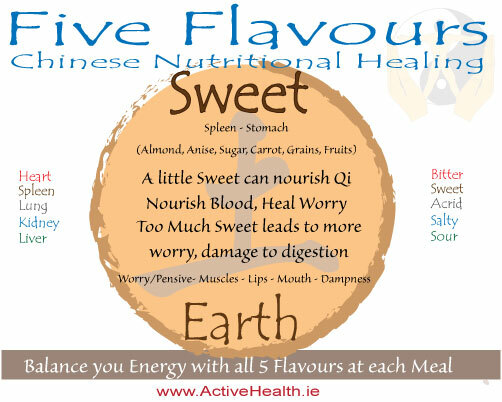 Chinese Nutritional Therapy has shown that there are foods that help move Qi and these include green tea, celery, Job’s Tears, and melon, pumpkin, and sunflower seeds. Traditional Chinese Medicine advises to drink 1 litre of warm water early in the morning as it helps to prime the system, flush the bowels, and reawaken the metabolic processes. It further suggests to drink a further 3 litres of warm water over the rest of the day. Traditional Chinese Medicine cautions against eating cold foods or drinking cold water, as it causes the digestive process to slow down, while your body uses vital energy to warm the food and water for metabolism, which can lead to stagnation. There are so many acupoints located on the body, and your therapist will advise you to stimulate certain points daily to improve digestion and promote the smooth flow of energy. There is an area located on the tiny triangle (or diamond) of cartilage that’s in front of the entrance to the ear canal are two powerful points for reducing appetite. 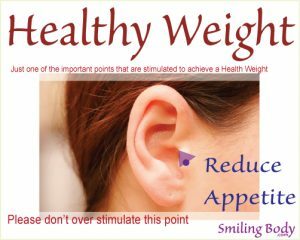 Pinch that bit of cartilage intermittently for 30-90 seconds starting about 10-20 minutes before meals, or whenever you feel uncharacteristically hungry to prevent overeating. You can pinch either or both ears. Incorporate these principles into your healthy lifestyle and you’ll be well on your way to achieving your goal weight. Learn more about the cost of the Smiling Body™ program. Make an appointment today to start your journey towards your Smiling Body. Tofu is a delicious healthy food made from soybean curds. It’s naturally low in calories and it’s gluten-free. It’s a superb source of protein, manganese, calcium, copper, selenium iron, and contains NO cholesterol. Soy is the primary constituent of tofu and is a complete source of dietary protein, providing all of the essential amino acids needed in the diet. For optimum health, consume tofu occasionally with a variety of other foods. According to the theory of Chinese Nutritional Therapy, tofu benefits the (TCM) Spleen / Stomach, which are related to blood, metabolism and digestion. When the Spleen/Stomach are in harmony there is health and energy. It is sweet in taste meaning it helps digestion of food, including difficult to digest foods. It is neutral / cooling and this helps to cool stomach fire and it moistens the skin. Tofu would be beneficial for constipation. Tofu is available in most supermarkets today, and is offered either refrigerated in individual packages or non-refrigerated in aseptically sealed containers. All tofu packets should have an expiry date printed on packaging. Once the package is opened, all types of tofu should be rinsed well, kept in a container covered with water, and placed in the refrigerator. Changing the water daily will help keep the tofu fresh for up to one week. There are many nutritious healthy Chinese food recipes that call for the use of tofu and there are a number of different types of tofu out there and it’s important to know which kind of tofu is best to use for your different recipes. Tofu differs in texture from soft to firm to extra-firm. Soft or Silken tofu has a smoother texture and is particularly suitable for salad dressings, sauces, and desserts. Firm and extra-firm tofu are best for baking, stir-frying, and grilling. This firm tofu will keep its shape as it cooks and will not fall apart in your wok or pan during the cooking process. I recommend that you drain your tofu before you use it. This will help the tofu to absorb all of the flavours of your dish and make it much tastier. You can easily drain your tofu on a wire tray over a plate. Be careful with silken tofu, use a muslin cloth to hold it together. Place a weight on top to assist the squeeze, for example another plate on top of the tofu to help expel the water. You can also place your tofu cake between two plates and squeeze the plates with rubber bands and hold vertically to drain water. I do not advise making tofu at home as like other fermented foods, one of the process ingredients (magnesium chloride) can be damaging to your health, if not used in the correct way. Soybean is the main ingredient of Tofu. Soybean milk is to be heated until it boils, then a tiny amount of magnesium chloride is added to solidify the soybean milk. We wait until the mixture cools down and you then have Tofu that is ready to be cooked. This is a typical Beijing dish and can be seen most frequently in North China. Green onion and Tofu are the only ingredients of this dish. With a small amount of sesame oil and salt, this dish is known for retaining the flavours of both of the ingredients. Carefully transfer the tofu from the package to a medium-size plate. Sprinkle sea salt over tofu and top with green onion and a drizzle of sesame oil. Use a knife to slice tofu into strips, then gently mix it with a pair of chopsticks. This is a lovely simple recipe that makes a great appetizer. Enjoy! This entry was posted in Nutrition, recipe on by smiling. According to the nutritional theory of Traditional Chinese Medicine, Dampness and Phlegm are created when there is disharmony or dysfunction in digestion and fluid metabolism. Because of the intimate relationship between these Damp and Phlegm and the digestion, food is viewed as an important contributing factor in both cause and treatment. In addition to internal causes, certain foods contribute towards the disharmony and other foods are recommended to harmonise the states of Damp and Phlegm. To improve digestion, it is recommended to consume fresh foods that are slightly cooked. Food that is prepared simply, helps to preserve essential nutrients and are more readily digested and absorbed. In general, it is suggested to eat smaller meals more frequently, sitting down while eating, to relax while eating, to increase enjoyment of meals while eating and chewing thoroughly to savour flavours. 30 – 40% of meals should consist of complex carbohydrates, especially rice, rye, barley and millet. 40 – 50% of the diet should be comprised of cooked vegetables and proteins should comprise only about 10% of the diet. Pungent flavours including onion, garlic, turnip, ginger, mint and basil are beneficial in dispersing congested fluids such as Damp and mucus, while overly rich, oily or heavy foods should be avoided because they can overwhelm the digestive system. Cold foods such as raw fruits and vegetables, tofu, and ice cream should also be avoided since they will slow down the digestion process and make the body work harder. Below is a list of recommended foods. You should not limit your diet to only these foods. 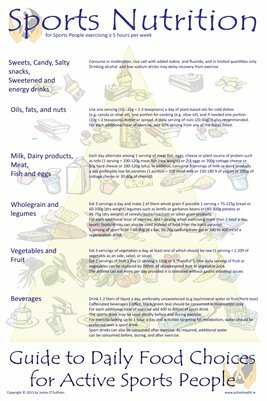 Instead follow the guidelines above of the optimum ratios of carbohydrates, vegetables and proteins, and add the recommended foods from the list below within your meals. Wherever possible choose organically grown foods. This factsheet is not intended to diagnose or assess. The information provided is not to be considered a substitute for consultation with a qualified health care practitioner. This entry was posted in Damp, Nutrition on by smiling. Another Argument against our acidic diet towards for a more alkaline one. This short article looks at the work of Dr Otto Heinrich Warburg who won the Nobel Prize in 1931. He found that cancer was caused by oxygen deficiency and this causes high levels of acidity in the body. 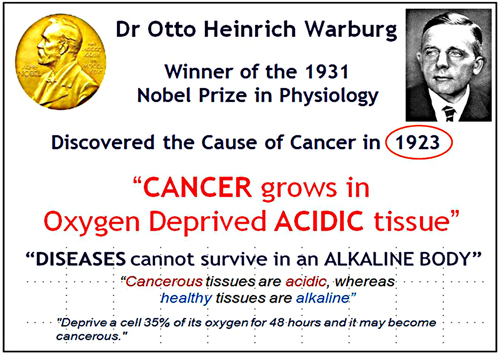 He declared that cancer cells are anaerobic, meaning that they do not breathe oxygen, leading to the theory that cancer cells cannot persist in the presence of high levels of oxygen, as in alkaline state. All normal cells unquestionably require oxygen, however cancer cells can and do live without it. He demonstrated that a cell may become cancerous in 48 hours if deprived of 35% of its oxygen. PH balance is the balance of alkaline and acid in all cells and fluids in the body. For our bodies to thrive, the body must maintain the PH levels of blood at a slightly alkaline level. Diet plays an essential part in maintaining PH levels in the body. Our microbiome or the total bacteria, parasites, viruses and candida overgrow can cause an acidic environment when out of balance. Alternatively, an alkaline environment neutralizes bacteria and other pathogens. Our modern dietary behaviours seem to guide us towards diets full of toxic and acid forming foods, like refined grains, genetically modified organisms, processed sugars and the rest. This in turn leads to unbalanced PH levels which may interfere with functions and activities at cell levels. Other data suggests that excessive acidic bio environment, may cause other health problems, such as cardiovascular disease, diabetes, osteoporosis, heartburn and cancer. The best remedy for an acidic bio environment is to balance your PH levels with an optimum diet. To assist, you could try this natural remedy to return or maintain your PH balance. In a glass, mix both ingredients and wait for the acidic / baking soda combination to fizz. Keep adding baking soda until the fizz stops. Then, top up the glass with 230ml (8 oz.) of water. Drink it all at once. This remedy helps to reduce acidosis and regulate stomach acid. It will balance the PH and help create an alkaline forming environment in the body. 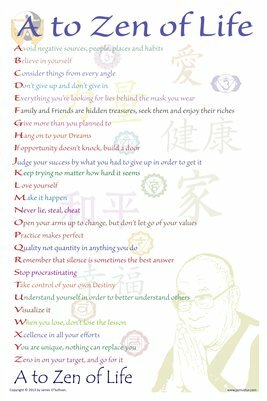 This entry was posted in Articles, Digestion, Nutrition, Research on by smiling.